Finally get them under oath. The lawsuit by Judicial Watch – now with the U.S. Court of Appeals District of Columbia Circuit – was first filed in 2014 in an effort to obtain records related to Clinton and her staff’s response to the Benghazi attack. Specifically, the group sought documents about Rice’s explanation immediately after the attack on the U.S. compound that characterized it as a protest turned violent instead of a deliberate terrorist assault. 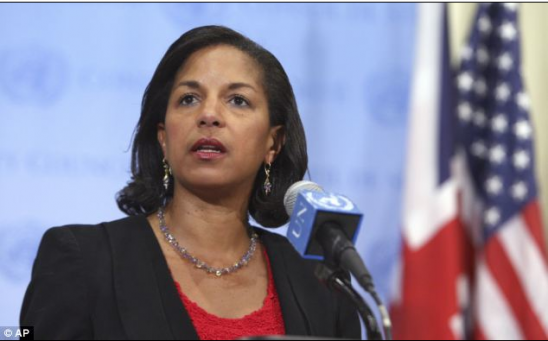 At the time of the attack, Rice was serving as the U.S. ambassador to the United Nations. “But the case has since expanded to question the motives behind Clinton’s private email use while Secretary and behind the government’s conduct in this litigation,” Lamberth wrote in his Tuesday order.